I’m Indian, and my girlfriend is Polish. We love travelling and we’d like to visit a lot of places, but there are surprisingly few countries that I can visit without a visa. Getting a visa can be tedious. (Quite often, I’ve had to personally visit consulates and submit bank account statements, travel insurance and cover letters along with my visa application form). Finding countries that allow both of us to visit without a visa or obtain a visa on arrival is hard. 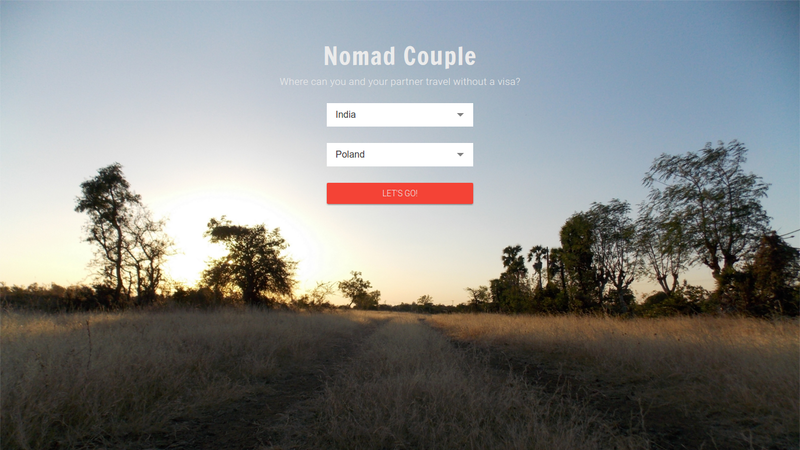 That’s why it occurred to me to build Nomad Couple, a website that provides information on visa requirements for couples. At the moment, the site groups countries based on visa requirements and links to WikiVoyage pages. I’d like to provide more information on each country through multiple data sources, the abilitiy to add links and pictures, and a Disqus comments section. 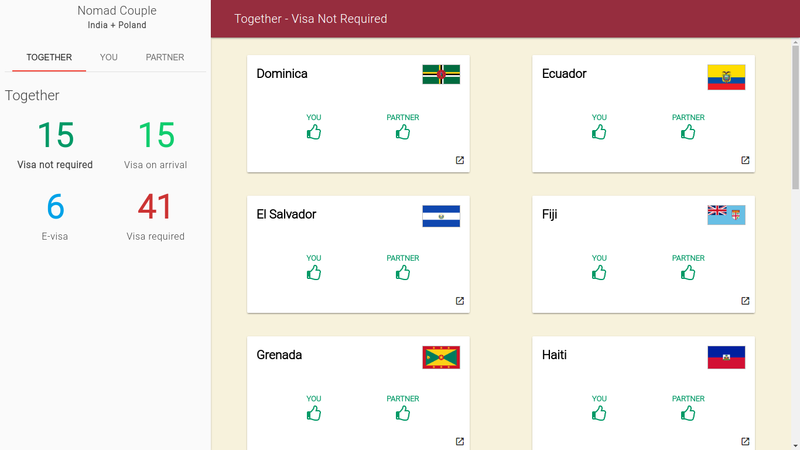 The data for the site was scraped from Wikipedia’s “Visa requirements for X citizens” pages. The source code for the scraper is available here.